Last updated December 17th, 2018. Myanmar recently had landmark elections which resulted in a landslide victory by the National League for Democracy. However, the country still suffers from rampant bribery across all parts of its government. Far more work is needed to raise confidence in Myanmar’s business climate. Myanmar is among Asia’s most infamous places for bureaucracy. That doesn’t equal the end of all business opportunities though. Most investment projects finish in a “clean” way on both the domestic and global fronts. Nonetheless, Myanmar remains surrounded by tons of red tape. Property development is an industry that corruption especially impacts. Lots of high-end buildings popping up across Yangon (conveniently) didn’t have to wait before starting construction. However, it’s a challenge for any investors wanting to develop properties without making “payments” to speed things up. A few Myanmar real estate developers are taking an ethical approach regardless of the current reality. Serge Pun is widely considered an exception to the rule. He’s a clean and wealthy businessman in a country filled with corruption. Head of Yoma Strategic Holdings, among Myanmar’s largest conglomerates, Pun took 30 years of his life to build a reputation as one of the cleanest businessmen in the region. He also owns an empire of real estate, cars, aviation, and banks. 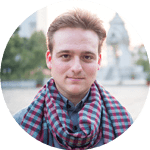 Serving as an international go-to person for business in Myanmar, Pun is a beacon for global investors looking to stay clear of complex bureaucracy. Yoma Strategic Holdings was the firm responsible for bringing KFC to Myanmar through a strategic partnership with Yum Brands. It’s been less than a year since the first KFC opened in downtown Yangon but Pun revealed his team is already scouting the best site for its 250th store. Yangon’s “Landmark” project has plenty of resources and money backing it. Yet progress is stalled due to corruption. With all that said, it’s not always smooth even for Myanmar’s richest people. Pun’s signature construction project is plagued by delays because of the highly bureaucratic system in place. His massive five hundred million dollar development in central Yangon, appropriately named “Landmark”, hasn’t seen much progress since it was announced six years ago. Landmark will consist of two office towers, a 5-star hotel, and an executive tower. 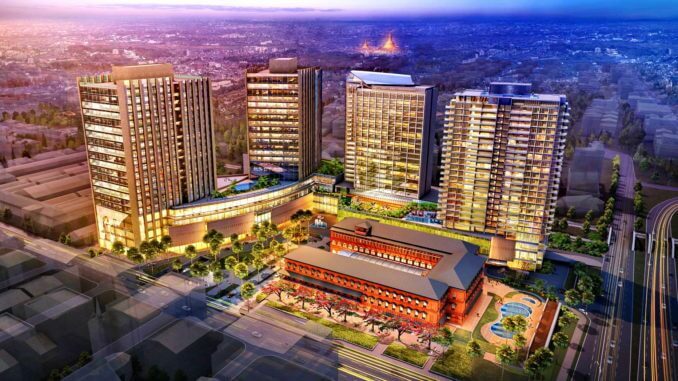 The building will indeed break a milestone in the history of Myanmar’s real estate sector when it’s finished. 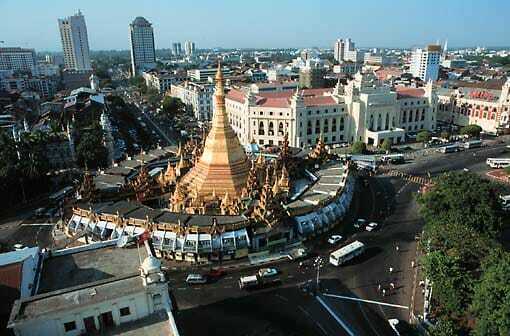 A vision of one of Myanmar’s wealthiest men, Landmark has large international groups behind it. They’re backed by the International Finance Corporation, the Asian Development Bank, and Mitsubishi Corporation. Cash isn’t the issue – it’s bureaucracy. Despite giving an impression of overall progress, Myanmar still has a long way left to go. Even projects financed by major global firms along with the country’s richest people must navigate through red tape. Those wanting to diversify into frontier market investments should probably look at places like Vietnam and Cambodia instead. Myanmar is simply too unpredictable at the moment.